We’ve designed our systems to be the most dependable on the market. From hardware to software, we strive to create best-in-class solutions. Discover what makes NORAC the industry leading boom height control provider below. NORAC offers levels of boom height control for any operation with a range of control systems to suit any demand. Premier boom height control system. 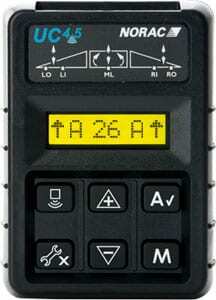 ISOBUS 11783 certified, the UC7 system can be operated through any Universal Terminal. Alternatively, it can be used as a stand-alone system that is operated through the NORAC PULSE™ color touchscreen display. The UC7 system is not only easy to operate, but offers cutting-edge troubleshooting and diagnostic capabilities. Advanced boom height control system. ISOBUS 11783 certified, the UC5 system can be operated through any Universal Terminal. Alternatively, it can be used as a stand-alone system that is operated through the NORAC PULSE™ color touchscreen display. The UC5 system is not only easy to operate, but offers advanced troubleshooting and diagnostic capabilities. Entry level stand-alone boom height control system. Using CANbus communication, this entry level system comes complete with a stand-alone eight digit display, but is not Universal Terminal compatible. 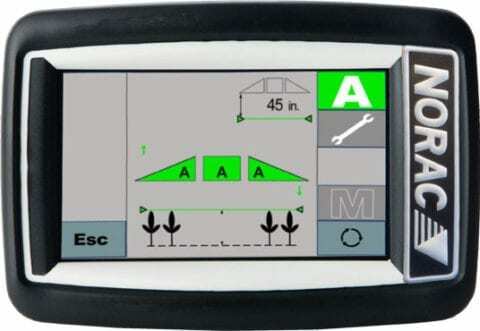 From the basic NORAC UC4.5 display to compatibility with virtually all leading Universal Terminal (UT) capable displays on the market, NORAC provides easy-to-learn and easy-to-use boom height control interface options for any operation. 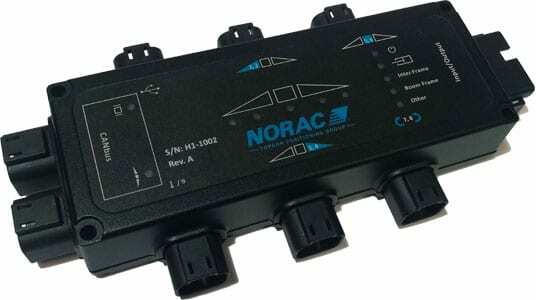 NORAC control systems are ISOBUS 11783 certified. Specifically designed for harsh agricultural environments and proven through countless operations, NORAC components are developed and refined to offer unparalleled accuracy and reliability. The initial concept of NORAC’s Ultrasonic Sensor was developed more than 15 years ago and has cultivated into a leading technology of high precision. NORAC Ultrasonic Sensors are easy to configure, microprocessor based and temperature compensated. They also featuring advanced clarity, reporting the top of the crop, soil, and multiple levels in between simultaneously. This is useful in applications where the crop height and other agronomic data is of interest such as prescription mapping, real time variable rate, crop measurement, and crop mapping. The readings can be used in conjunction with NORAC’s patented Hybrid Mode™ algorithms, which use a “virtual top of crop” to add stability for a variety of control applications. Breakaway or low profile brackets are used to mount the ultrasonic sensors to the boom. Breakaway bracket will pivot to avoid damage from boom strikes, while low profile brackets are useful in situations where the breakaway bracket will not fit on the boom and also has a rain flap option to protect the sensor when the boom is folded. A separate NORAC-designed proportional valve is used for each wing to ensure smooth independent hydraulic control. 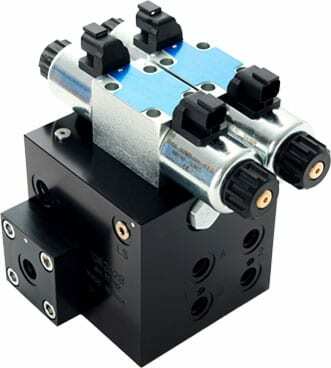 NORAC proportional valves offer automatic oil temperature monitoring and compensation for superior performance. The addition of an Active Control™ Technology enables the sprayer to go over severe terrain by actively rolling the center section or simulating roll in the center section, as well as controlling wing lift. Spray height is maintained, even in the most severe conditions. Various roll sensing technologies are used to measure boom dynamics. This enables the system to predict the effects of center section and chassis roll on boom height and compensate for it. The technology manages boom stability by preventing one boom’s action from affecting the other and allows the boom roll suspension to perform as designed without interference. NORAC patented technologies provide industry leading benefits. 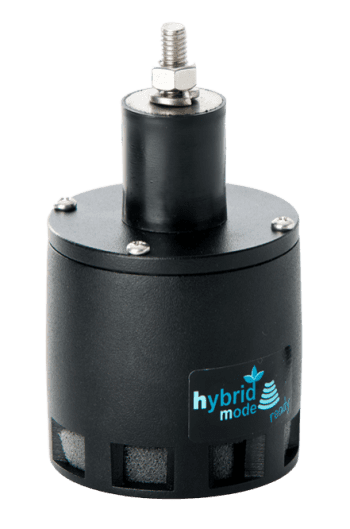 Hybrid Mode™ provides the operator with a level of performance not provided from other height controllers on the market. It is most useful when spraying in-crop and when there are difficult conditions such as washed out areas, thin or lodged crop, or wheel tracks. 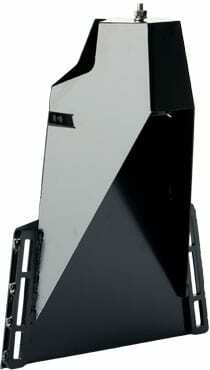 The result is stable and reliable height control in all crop conditions. 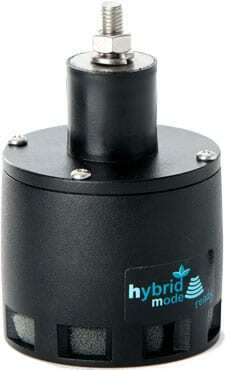 Unlike any other solution on the market, Hybrid Mode™ combines the function provided by the two operating modes, Soil Mode™ and Crop Mode™ by tracking both the soil surface and crop canopy simultaneously. If the crop canopy is not continuous, Hybrid Mode™ will track the soil surface and determine a continuous “virtual” crop canopy as an operator would expect in these crop conditions. Max Sensing™ offers a new way to measure boom dynamics and has made boom height control smarter, and more intuitive. Able to adapt to almost any boom design, MAX Sensing is especially important for boom height control performance on rigid booms and other booms that are challenging to control. Available for select UC5™ Passive Roll™ and Active Wing Roll™ systems.